The App Connect framework sets Wappler apart from the pack. App Connect allows you to do almost anything you can think of from a client side perspective, and not only that but it is also what connects your Client Side and Server Side creating the ideal partnership. 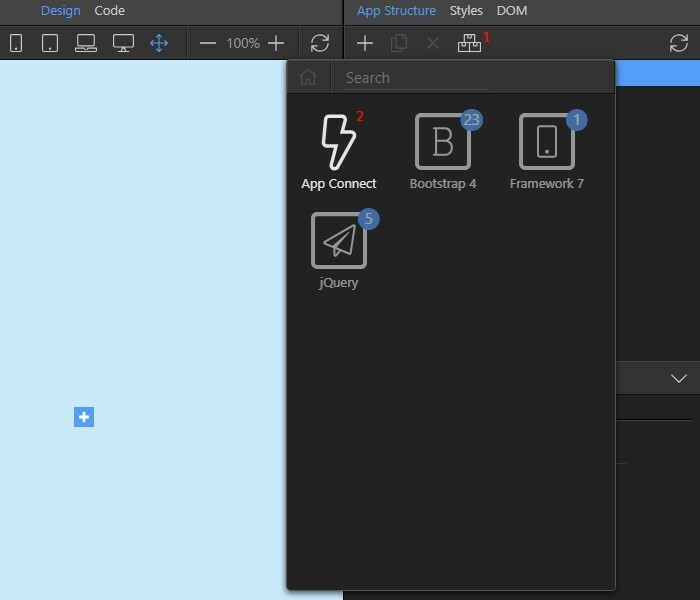 In order to add App Connect on your page, select the Frameworks menu(1) and click App Connect(2). You will see a confirmation message as soon as it is added to your page.